The difference between a winning trade and a losing trade with the same setup is the order flow. This is key. I don't think I can emphasize this more. If you are not tracking order flow then you are trading with a blindfold. 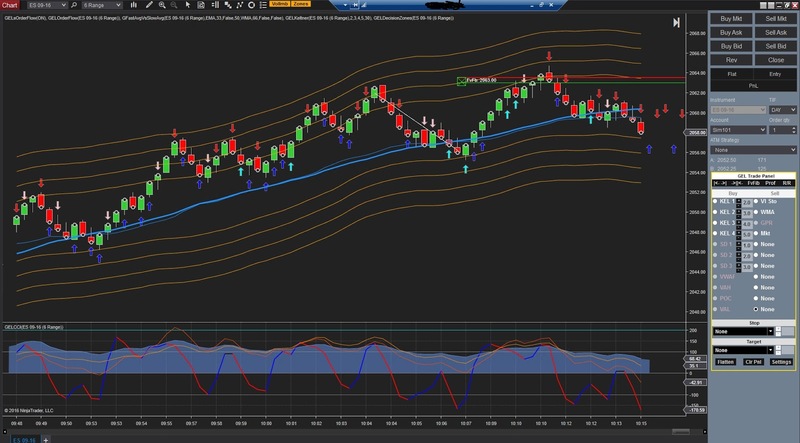 Order flow should be in the direction of your trade at key levels where you trigger the trade. 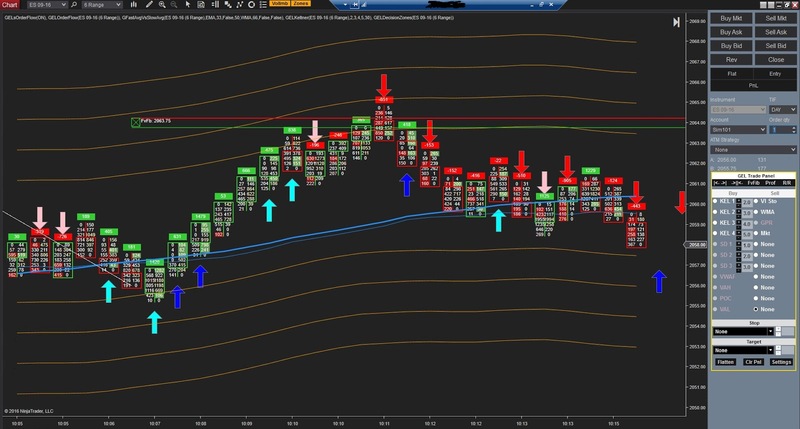 Whatever you use to trigger a trade, requiring the order flow to be strongly in the direction of the trade greatly increases the probability of the price moving in the direction of your trade. The first pic shows the same indicators I have used since this blog began in 2009. What the arrows show is the order flow meeting requirements I have had programmed. The order flow helps not only identify the trades at key support and resistance areas but also show continuity of order flow. In this pic, price hit my FavFib and order flow confirmed that the sellers hit the market hard. Pic 2 shows even more information about the volume imbalance within each bar. This more detailed information does not always need to be seen unless I am scalping. I do look at the detailed bar at the key levels. In this case, you can see the sellers inside the bar hitting the bid. 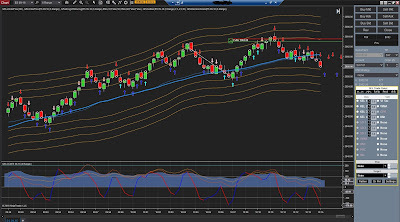 NinjaTrader 8 is still in beta and still has a number of issues. Hopefully all these will be resolved soon. 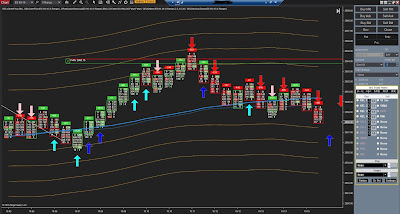 However, the ability of NinjaTrader 8 to load ad use bid and ask data and micro second time stamping is a quantum step forward for order flow traders. Thanks for this sharing. How would you evaluate order flow using MD's Footprint chart? What time would you use? 5 PNF eversal? The starting point is Volume Imbalance. Once you have that, I'd add other context and volume centric rules to produce the arrows that show you what's happening. I'm not a fan of PnF as I can't compare like for like bars. A Range Bar chart allows me to compare what's happening in identical size bars. I can thus see when I expect a bar to pop. Hi cuzza, yes. I can see, for example when a high of a bar doesn't go bid. Or when the stops are run. But the context and location of the bar is critical to understand what the prints inside the bar mean.